March 26 (Bloomberg) — Bill Gross, who runs the world’s biggest bond fund at Pacific Investment Management Co., said the Federal Reserve will probably signal it plans to arrange a third round of debt purchases when policy makers meet in April. The end of tax breaks enacted by President George W. Bush and $1 trillion of mandatory federal budget cuts are raising concern that declining unemployment will give way to slower economic growth that requires support from the central bank. Policy makers under Chairman Ben S. Bernanke have purchased $2.3 trillion of Treasuries and mortgage debt in two rounds of so- called quantitative easing, known as QE1 and QE2, as they try to sustain the expansion. The Fed is “likely to hint” at QE3 at its April 25 gathering, Gross wrote on Twitter. Central bank policy makers upgraded the outlook for the U.S. economy at their March 13 meeting, while they reiterated their pledge to keep interest rates near zero until at least late 2014. 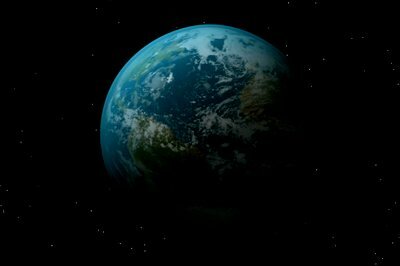 Time is running out to minimize the risk of setting in motion irreversible and long-term climate change and other dramatic changes to Earth’s life support system, according to scientists speaking at the Planet Under Pressure conference, which began in London today. The unequivocal warning is delivered on the first day of the four-day conference opening with the latest readings of Earth’s vital signs. In subsequent days at the meeting, nearly 3,000 experts spanning the spectrum of interconnected scientific interests, will examine solutions, hurdles and ways to break down the barriers to progress. The conference is the largest gathering of experts in development and global environmental changes in advance of June’s UN “Rio+20” summit in Brazil. Brazil, Russia, India, China and South Africa launch attack to to replace the dollar with an single Chinese denominated “super-Sovereign” global currency. As China is expected to rise to the status of a financial super power within the next 8 years and eclipse the US economy by 2020 Africa becomes center stage in the greatest currency war the world has seen since the 1930s which is now shifting into overdrive. Brazil, Russia, India, China and South Africa, collectively known as the BRICS nations, are moving forward with their plan to unseat the US dollar from its throne as the global trade currency and to replace it with a Chinese denominated “super-sovereign” international currency. This Geo-political game to establish global monetary dominance is by no means limited to the attack on the US dollar. Days after India and China agreed to have maritime cooperation, Beijing has favoured greater military ties with New Delhi, saying such exchanges would help build more “confidence and trust” between the two countries. “Exchanges between our militaries will help us build more confidence and trust with each other,” Deputy Director General of Asian Department in the Chinese Ministry of Foreign Affairs Sun Weidong said. His remarks came ahead of President Hu Jintao’s visit to New Delhi from Wednesday to participate in the fourth BRICS (Brazil, Russia, India, China and South Africa) summit. “Our military people are positive about military cooperation and exchange of visits with India. 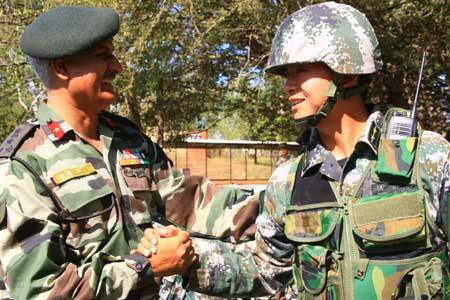 I think China and India are strategic partners military exchanges and cooperation are part of the partnership,” Sun said. Two previously unknown active faults were found off the Boso Peninsula in Chiba Prefecture, with one researcher warning that a jolt in the two faults at the same time could trigger an earthquake of magnitude 8 to 9. 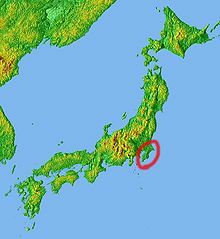 The two faults, one at least 160 km long and the other more than 300 km, were found on the floor of the Pacific Ocean around 100 to 200 km southeast of the southern tip of the peninsula, according to a group of researchers from Hiroshima University, Nagoya University, the Japan Agency for Marine-Earth Science and Technology and other parties. “The faults have been unmarked and uninvestigated. There is a possibility of strong jolts and tsunami reaching the southern Kanto region (including Tokyo) and the Tokai region (central Honshu). It should be promptly investigated in detail,” said research group member Mitsuhisa Watanabe, a professor at Toyo University. The group will report its findings at a Thursday meeting of the Association of Japanese Geographers in Tokyo. The group used a bathymetric chart made by the Japan Coast Guard to analyze the geography of the seafloor in detail. It then estimated the location of the active faults by taking into consideration cliffs formed by earthquakes and other elevated features.